A wedding isn’t complete until each and every last detail has been carefully considered and prepared for. And what is a wedding without confetti?! 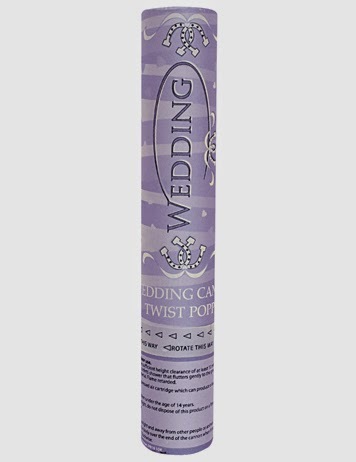 The tradition of showering the bride and groom with wedding confetti is a fun celebration for one and all, bring together all the guests at once to share in the spirit of the big day. We’ve been getting inspired by some creative and crafty ways to supply your guests with confetti as to make sure you don’t miss out on this jovial tradition. We love the thought put into the these ideas, creating delightful cones out of paper, each filled to the brim with colourful confetti. Such a simple idea and so easy to do, all you need is some paper, glue and a pretty basket to hold them all in. Alternatively, use ribbon to hang from the backs of the chairs which will line the ailse. Confetti doubling up as super cute wedding decorations! For a vintage themed wedding, how about a lovely leather suitcase full of confetti ready to be scooped up by passing guests as they leave to greet the Bride and Groom outside. Another simple but really effective wedding idea, sure to impress the friends and family. 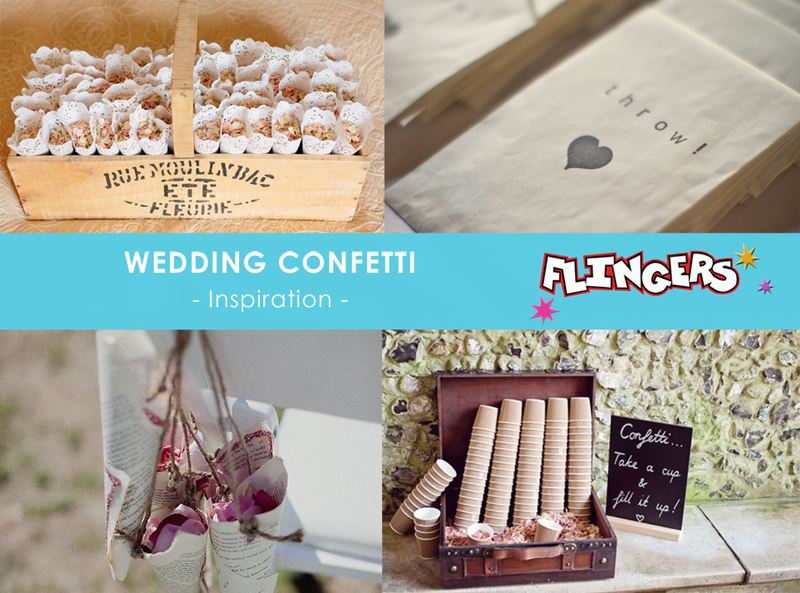 At Flingers we have a wide range of confetti designs perfect for any wedding you’ll be attending this year. Or if you’re the Bride or Groom, perfect for these confetti cone ideas or for scattering across the dining tables to add a little sparkle to your venue. 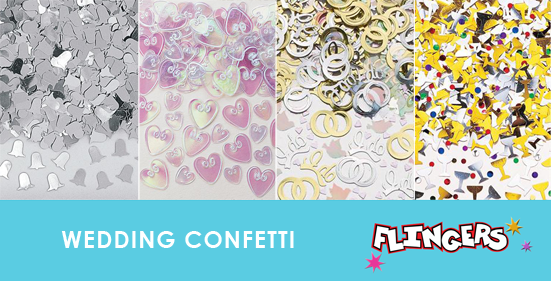 All our confetti stock is available to purchase in store or online, where delivery starts from as little as £1.40! However, if you are looking for something with even more of the wow-factor check out our Wedding Party Cannons. Brand new, just in time for the wedding season to begin. From just £1.59, these cannon poppers are filled with party streamers, ready to pop with just a twist of the wrist! 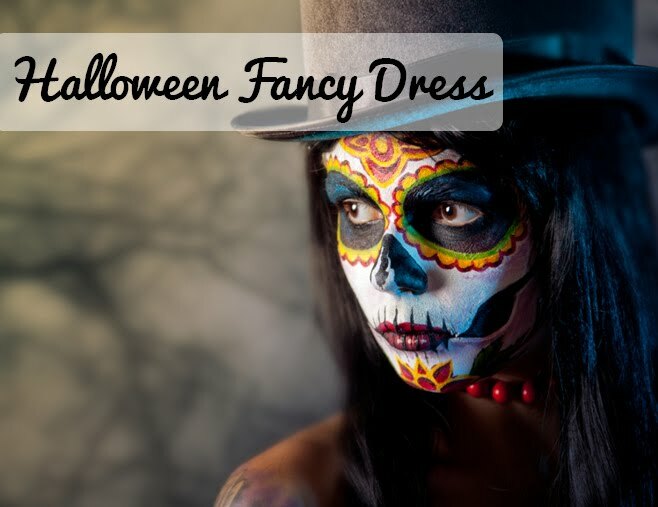 These tubes pack a real punch and are great for creating a party atmosphere, especially if you place one or more on each table and get all the guests to release at once!! Will you be throwing confetti at the next wedding you attend?